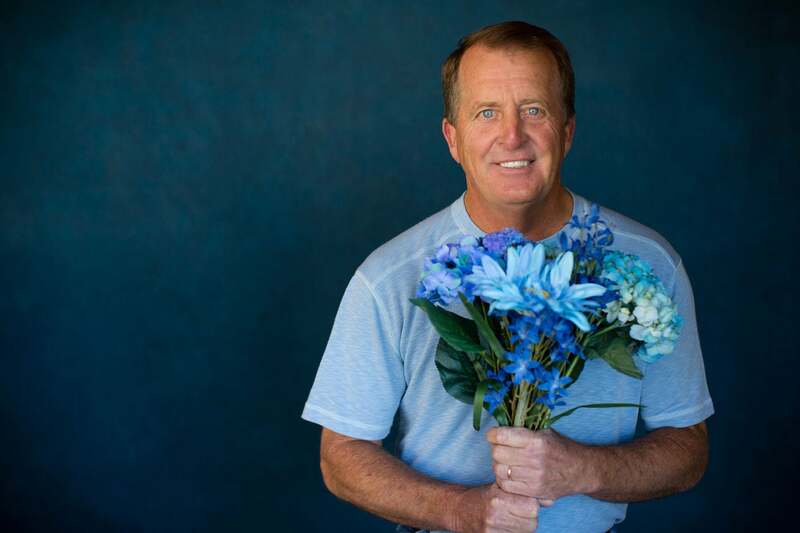 Fred Funk has won more than $30 million in his professional career. Fred Funk cannot hit a driver 280 yards in the air unless the wind is at his back. He's listed in the PGA Tour media guide as 5 feet, 8 inches tall, but admits with a shrug and a grin that he was always five seven and a half. (At 58, he's shrunk to an even five seven). Physically unimposing though he may be, Funk is still, in Tour terms, a freak of nature. He worked an anonymous day job into his 30s and peaked as a player in his late 40s, an age when most pros go dormant. And he's the most accurate force this side of an atomic clock, routinely pelting nearly 80 percent of the fairways on any tour he plays, regular or senior. Indeed, Funk's ballstriking is pinpoint to an extent that today's big guns could only dream of. In 2005, when he won the Players Championship, at age 48, on the watery Stadium Course at TPC Sawgrass, Funk went at every pin—in 30 mph winds and for all 32 holes of the final day. The winner of 17 total PGA and Champions Tour events discusses his freaky-good "ball-control game," what it would take to steal one more from the young guys, and why the 16th time you get your knee drained of fluid is always the worst. You made an ace at the Pacific Links Hawaii Championship last September. Is it true you once carded a hole-in-one but weren't happy with the shot? It was the Canadian Open at Hamilton [Golf & Country Club, outside Toronto], on the last day, and I hit a terrible 3-iron really low. It went into the hole going about Mach 2. I hit it and tossed the club down—like, "Oh, geez! "—and it went right in. Tiger saw it on TV and gave me grief. He said, "Fred, you can't make a hole-in-one and throw your club." According to your longtime caddie Mark Long, who also played for you in the '80s when you coached the University of Maryland golf team, that's not the only time you were unhappy with an ace. It also happened on the 13th hole at TPC Sawgrass. I forgot about that one. We were out there just playing for fun, a friendly match, and I hit a terrible 6-iron, and I didn't even look. It was almost dark. Mark said, "It went in." Your accuracy seems to be resistant to age. You turn 59 in June. Have you ever flirted with that magic number on the scorecard? Yeah, a couple of times on Tour, and at Pablo Creek, my home course in Ponte Vedra Beach, I've got the course record at 60. I had about a 20-footer at the last for 59, and I left it on the high side. It was just a fun round. I shot a 59 at the Desert Course in Scottsdale, but I don't count it because we were playing it at 6,000 yards, and the round took about six hours. It was a pro-am, and I made everything—with a putter that I hated. I took it out of the bag for the Phoenix Open and ended up missing the cut. You shot 59 and replaced your putter? It felt like I was hitting a rock. My caddie said I was an idiot, and I couldn't argue. What's harder, making a five-footer to win the Players or a five-footer to win the Employees Open? Apparently a five-footer for the Employees Open, because I never won it. All the guys that worked at the University of Maryland Golf Course, we had a tournament, and I never won it in the eight or nine years I played in it. I worked there from age 12 and coached there until I was 31. I did it all—worked the range, worked carts—before eventually coaching there and becoming an assistant pro. I didn't like teaching, but I taught a bit. You must have done a good job teaching your son Taylor, since he won the Florida high school championship and is now a golfer at the University of Texas. He also made a nice showing last summer at the U.S. Amateur. No, it wasn't my teaching. We got him lessons from Travis Fulton, head instructor at the TPC Academy. Plus, we home-schooled the kids, so Taylor was always with us, always around the best of the best, and he just morphed into being a golfer. He's been outdriving me for the last year and a half. If I don't play well, he's got me, but if I'm playing well I can still beat him. We bet five bucks or so, but it's my money, so it's like I'm betting myself. You played on two Presidents Cup teams and one Ryder Cup team. Describe the first Presidents Cup phone call you got from Captain Jack Nicklaus, in 2003, when you were at TGI Friday's in Akron. I answered the phone and he said, "Fred, you didn't quite do what I needed you to do." He wanted me to make the team on points, but I just missed. I said, "I know, Jack, I'm sorry." He said, "That's okay, I picked you." And I just screamed: "Atta boy, Jack!" That was one of my all-time favorite phone calls. People around me stopped eating. I didn't care. I never dreamed of representing my country, let alone at that age . It was exciting. How many presidents have you met? I've met both Bushes, and Clinton. I got invited to Dubya's birthday party two times when he was in office. Another visit was for the Presidents Cup when it was at [the Robert Trent Jones Golf Club]. They were very normal, ordinary guys who just happened to hold the highest office in the world. I never thought I'd care to meet Clinton, but he was so engaging, and he's really a fun guy to be around. You toiled in obscurity as the Maryland coach from '81 to '88, then joined the Tour at the relatively late age of 32. How did you finally get over the hump and raise your game to Tour level? I was very driven. I practiced extremely hard. I never thought I was that good, but I kept qualifying as a club pro for some U.S. Opens and PGAs, and I'd make cuts and realize I was better than I thought. So I kept at it. I always thought Tour pros were so good that they were like robots, but I saw they have bad days—they're human. Realizing that drove me even more to get out there. After a while I didn't believe they were better than me. You've had plenty of injuries in your career—one of your endorsements is for Stryker Orthopaedics, for joint replacement. When did you start to get dinged up? In '86 I injured my shoulder, and that set me back for a year or two. I was playing in a pro-am in Maryland and hit it in the trees, and as I was swinging down the club got caught in a branch, and I partially tore my rotator cuff. It really screwed up my left shoulder. I reinjured it in '91 with a boogie board at the beach and had to have it operated on. And then you had a series of issues with your knee, right? I had it operated on about eight times in a four-year period. I had a staph infection in it in '08. I had it drained 18 times that year, and the 16th time got me. I was playing Russian roulette with those needles. I had had my knee scoped in the beginning of '08, and it kept blowing up on me as I was playing, so I'd have to get it drained again. And you kept playing on your knee after all those procedures? I had caught Jay Haas for the [Charles] Schwab Cup by the end of '08, and I had it drained for the 16th time at the Shark Shootout. I got the staph infection that night. I couldn't even move. I had played the Saturday round and it kept getting worse and worse as the day went on. I hit a 7-iron into 18 and walked over to the lake, as far away as I could get from everybody, and started crying—it hurt that bad. That was the beginning of the nightmare. I was home and in the operating room by Sunday morning. I was on an IV PICC line for about six weeks and on antibiotics. The doctor told me, "We'll take your leg off before it kills you." And I went, "Okay, you got my attention." I've got tendinitis so bad I can't even grip a club. It showed up out of nowhere the Tuesday before the Allianz at Boca Raton [in February]. I had a cortisone shot and played and finished third. It was still bothering me at the Pebble Beach pro-am, which I really wanted to play in. I was exempt there from the money I made at Mayakoba at the end of last year, but I withdrew before my tee time because I couldn't grip the club. It's basically tennis elbow on the left arm. I had the PRP [platelet-rich plasma] therapy, and I'm waiting for it to kick in. It's very disappointing that this injury has shut me down. You mentioned last fall's OHL Classic at Mayakoba, where you were in the hunt on Sunday but made a triple at the 12th hole to tie for ninth. Can you still win on the PGA Tour even at your age, and with your length–or lack thereof? And I made that triple from the middle of the fairway! Yeah, on the right course I can win—I've got to have a really good putting week, but, yes, I think I can. I just won't have many opportunities. You've earned more than $30 million on the course, not counting endorsements. What do you spend your money on? I've got a nice house, and a house for my mom and a house for my brother, and I've got a little condo in Austin [where son Taylor attends school]. Uncle Sam takes a chunk, and some bad investments hurt, so, you know, I try not to make any more boo-boos. What were the bad investments? I invested in some real estate things that didn't come through, but one of them was a big chunk. That hurt. I used to have a third share of a Learjet 31—that was extravagant. That was when we flew privately for seven years. That was a great way to go, but that was a lot of money. I can't afford that anymore, so I fly commercial. What does a "boo-boo" mean? Seven figures? It just hurt. Fortunately, I've made enough that I can rebound from it. Speaking of money, everyone remembers the pink skirt you put on after being outdriven by Annika Sorenstam at the 2005 Skins Game. But not everyone remembers that you took home $925,000 that week–more than Woods, Annika or Fred Couples. Tiger probably does—he won the third hole to get the first three Skins, and I got the last 15. He wasn't happy about it. He missed a putt on the last hole that would have taken it into overtime, and I birdied a par 5 that he and Freddie could reach in two and Annika and I couldn't. You're a natural in Mitsubishi's "Don't Get Out of Your Comfort Zone" commercials. Fred Couples and Corey Pavin are good, too. What is it about you older guys on TV? The experience is very creative—most of the commercials are written one way and evolve into something different. We're wingin' it, but we've got to hit the theme. The chainsaw one was by far my best. The skirt, the funny ads–does being recognized as an entertainer of sorts leave you short-changed for your on-course achievements? I think so. I don't think people take me seriously. I still feel like I've got a fierce competitive side. I hate to lose. I don't think people see that. In 2005, short-hitting Fred Funk wins the Fifth Major, at 48. In 1986, long-hitting Jack Nicklaus wins the Masters, at 46. Jack's victory gets a lot more ink than yours. Is your Players Championship win underrated? Probably, but I'm used to it. Nicklaus at 46 was ridiculous. I remember his Masters round even more than I remember winning the Players. Well, don't forget that we had to play 32 holes on that Monday, so a lot of that final round was a blur to me, because it was basically two rounds of golf—and we played in 30-mile-per-hour winds. Are you a good bad-weather player? Take us through the last hole. You then got up and down to essentially seal the win, and then spiked your visor on the green. It was just pure emotion. You played with Adam Scott in the final round. He was the defending champion, with a power game that's nothing like your style. Has Tour golf become unfair to shorter hitters? If Gary Player came along today, could he even compete? I think it's really difficult for anyone who doesn't hit it a long way to compete. You have to have a certain baseline distance. You've got to fly it 280 in the air. That's about average out there. You won eight times on the Tour and nine times on the Champions Tour. Are you satisfied with your career? Am I satisfied? No. I wish I'd had more confidence and knowledge. It's a maturation thing. You've got to get used to being in your own skin, and playing against guys you see on TV. Very few people are world-beaters right out of the gate. I had to learn to believe in myself. I probably still struggle with that. Sometimes I don't believe I'm as good as I can be. And I still believe I can get better, even at my age. You're pushing 60 but still feel that you're improving at golf? That's inspiring, and encouraging. I'm learning a lot about myself, how to compete. When my body feels good, I can play as good as ever, if not better. I still work hard at age 58, although not as hard. My body can't take it like it used to. I play ball control. I have to hit it straight. You can be long and crooked. Take Tiger and Phil, who were No. 1 and No. 2 in the world for forever. They couldn't find the course with their driver, but they're such great iron players and have such great short games—and such great imaginations—that they were always able to make up for it. Me, I just hit it in play, keep the ball in front of me and try to take advantage of my opportunities. You can still play that way out here. Justin Leonard, Corey Pavin—guys still do it that way and have success. Pavin was artistic. He played the game like he was painting a picture. The modern Corey Pavin is Bubba Watson, who's Pavin with power, moving the ball all over the place. You played with Bubba in his first round as a rookie, at the 2003 Sony Open. What was your impression? Bubba put on a show that first day. He hit a shot on the seventh, a par 3—it was a low 8-iron that hooked about 30 yards, 20 feet high, to about two feet from the hole. It was amazing. Then he hit a drive on the par-5 18th that went stupid far—he sliced it over the trees and was past the crosswalk. I hit mine straight, probably 270-280, but his ball must have been 300 yards ahead of me. He had, like, 80 yards left. What's the biggest misconception about life as a Tour pro? That it's all glamour. What you don't see on TV each week are the guys who slam their trunks on Friday afternoon, wondering if they're good enough to make it, spending more than they're making. I feel really fortunate that I've had the career I've had, with as late of a start as I had. I've been on Tour every year since 1989. I still pinch myself to be out here. It's been a great ride.